Please email readinglists@nuigalway.ie if you are interested in using the Reading List Service. 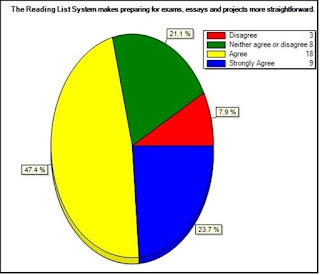 More information about using our Reading List Service including guides, videos and training is available from the Reading List web page. 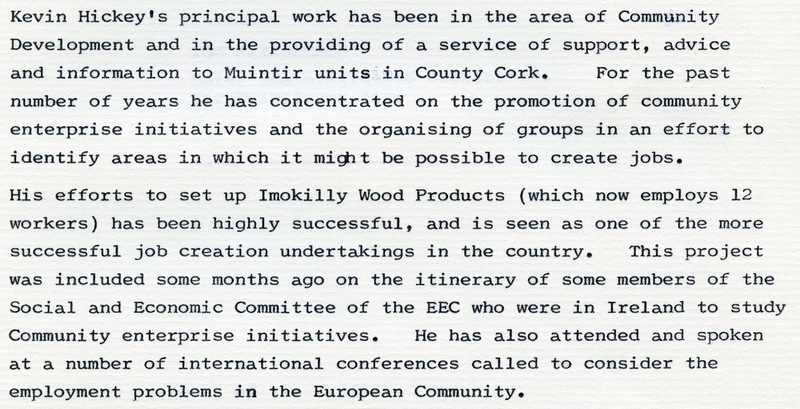 Muintir na Tíre pioneered and were involved in promoting many new concepts and technologies in its 80 year history. They were involved in rural electrification, group water schemes, community alert and community development. 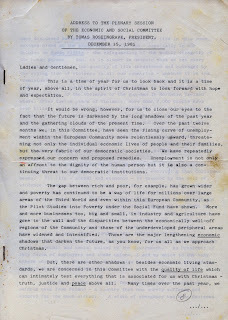 They had prominent Irish sociologists involved in the organisation in the 1940s to the 1990s. Among these were Jeremiah Newman, Bishop of Limerick, Dr Thomas Morris, Archbishop of Cashel and Emly and Tomas Roseingrave. Within the Muintir na Tíre collection we are lucky to have the papers relating to Muintir na Tíre of Dr Thomas Morris and of Tomas Roseingrave. We do have correspondence from Jeremiah Newman but these are contained in the correspondence of Muintir na Tíre not his own papers. Dr Thomas Morris was the National Recording Secretary of Muintir na Tíre. He was Vice President of the diocesan seminary, St Patrick’s college in Thurles and became Archbishop of Cashel and Emly in 1960. 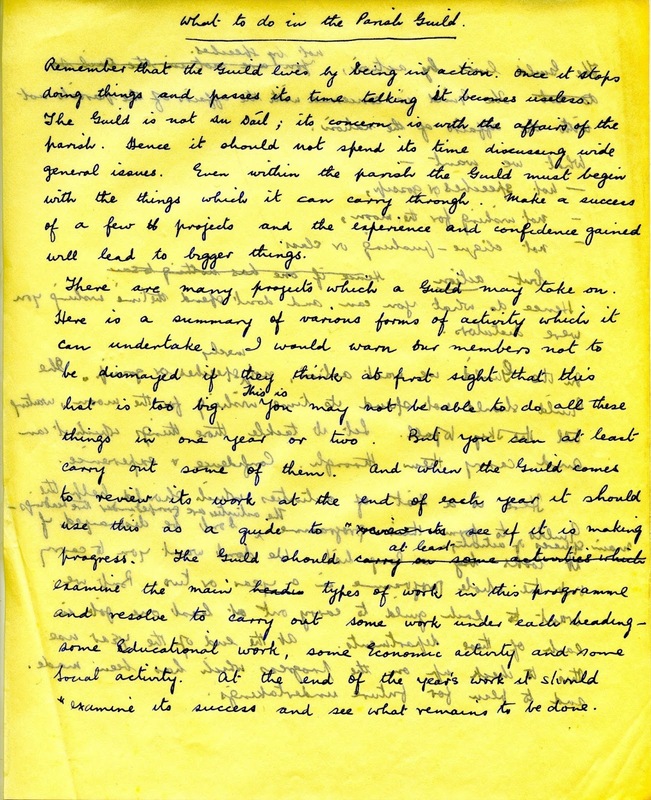 In the archive we have correspondence that was received by Dr Morris with regard to the work of Muintir na Tíre, his role as editor of Landmark and with regard to his views on sociology, rural Ireland and community development. He was concerned with the internal organisation and structures of Muintir na Tíre and produced papers on how the secretary should work, the use of filing systems and the structures of guilds. 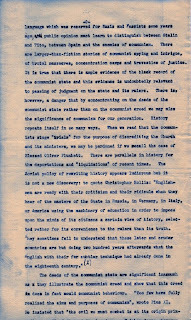 In the 1940s and 1950s the Catholic Church were vocal against Communism across Europe. 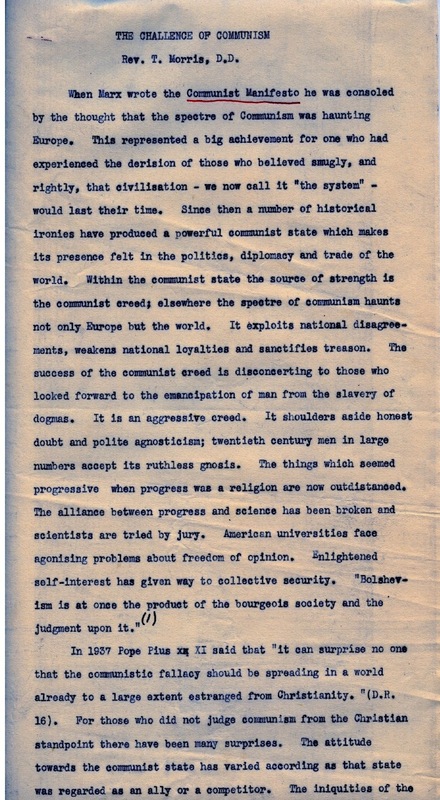 This view was supported by both Canon Hayes and Dr Morris who spoke out against communism in Ireland. Below we have an example from a paper written by Dr Morris on this. 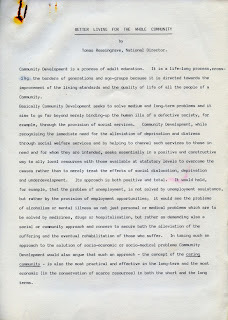 He also looked at community development in rural Ireland. 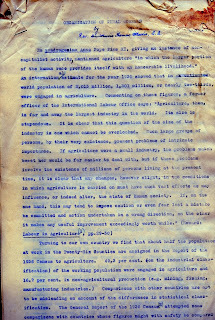 One of the papers in the archive is ‘Organisation of Rural Workers’ which looks at the history and structure of the agricultural industry, growth of workers’ associations and the parish organisation in Muintir na Tíre. 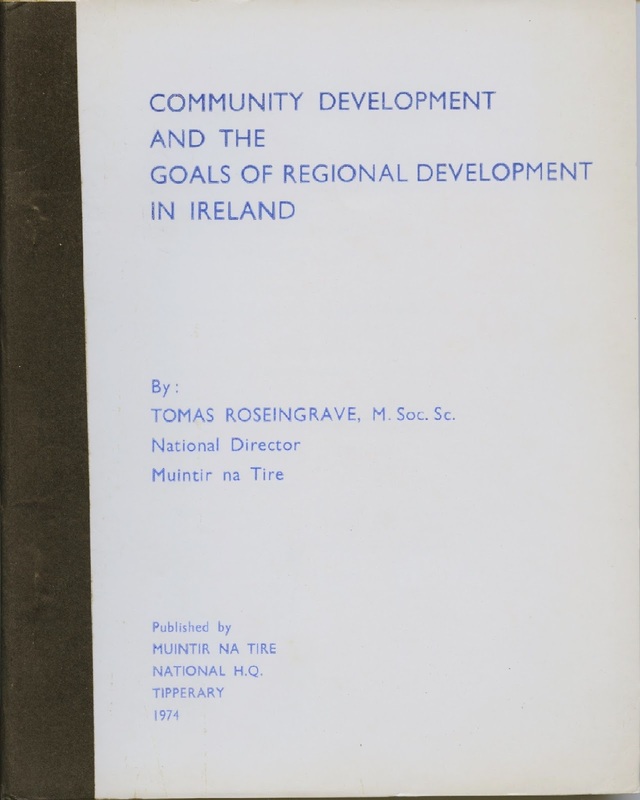 The other prominent sociologist involved in Muintir na Tíre was Tomas Roseingrave, who had a Master’s Degree in social science from UCD. He was Director of manpower studies in the Department of Labour. In 1968 he became the second National Director of Muintir na Tíre. He resigned from the post in 1975 but continued on as consultant National Director and was involved until his death in 1993. 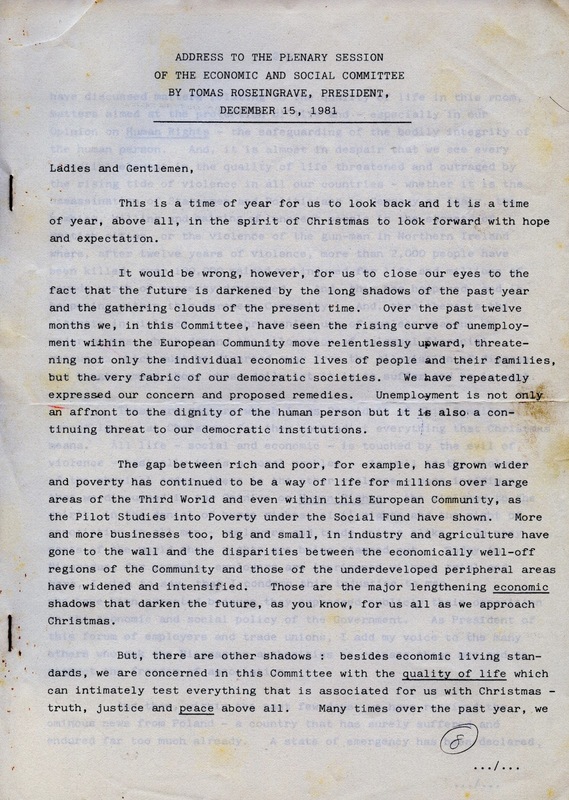 In 1973 he became a member of the EEC Economic and Social Committee where he was President in the 1981. Roseingrave was a constant in Muintir na Tíre from 1968 to his death in 1993. His work as National Director included setting the direction of the organisation, developing policy and organising the administration and staff. 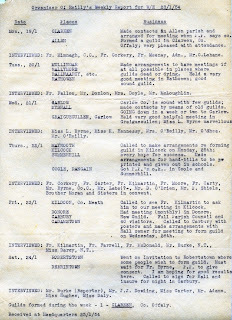 He communicated with various organisations and government departments on behalf of Muintir na Tíre and also represented them on various committees and bodies. He also led a number of Muintir na Tíre projects. As the lead on the E.E.C. Pilot project the Community Development Officers reported to him on their work. The outcome of this was the report Pilot Scheme on Training Programme for Community Development Officers. and this paper published in 1974. In his role on the Economic and Social Committee he became well versed on European issues and was a support of Ireland joining the E.E.C. He was very concerned with community development and the improvement of rural life and decreasing the gap between rich and poor. 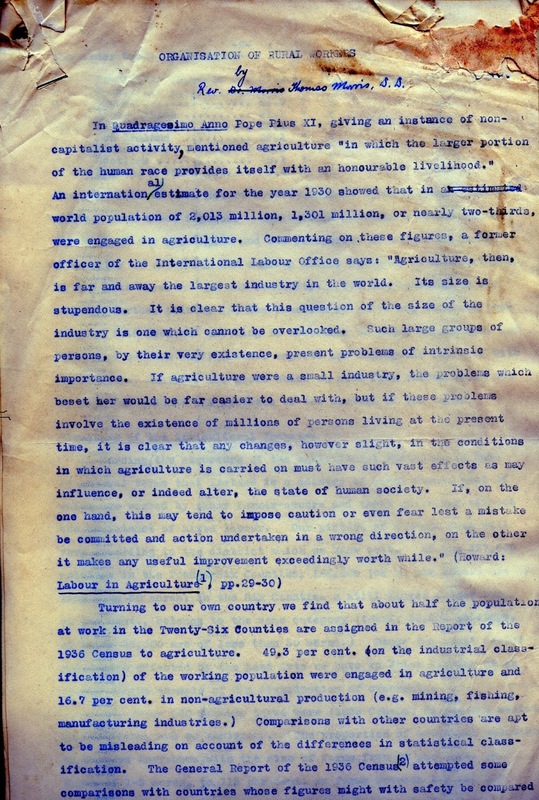 This can be seen in his address at the Plenary Session of the Economic and Social Committee in December 1981. 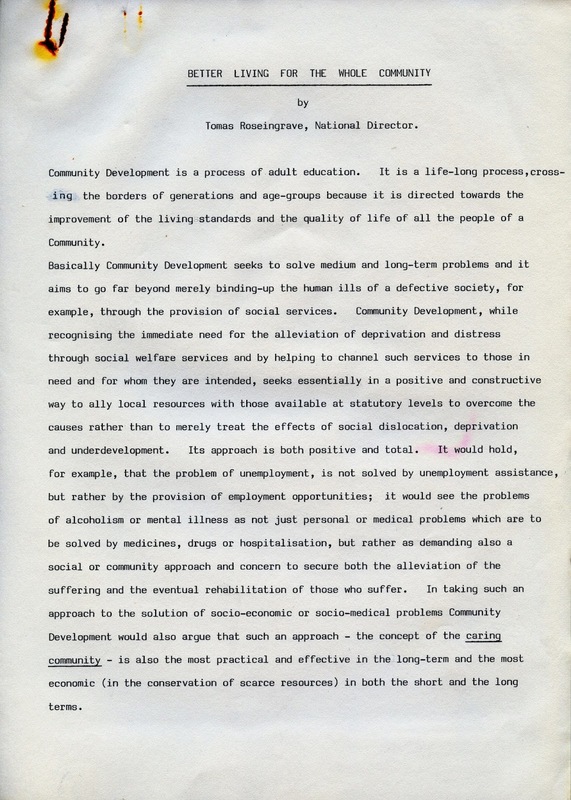 Muintir na Tíre have been very lucky to have prominent sociologists involved to help develop the theme of community development down through the years. Access to Electronic Enlightenment is available here. 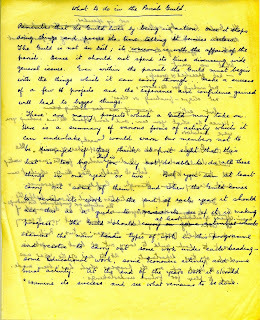 As mentioned in an earlier post I spoke about getting to be the first to explore an archive. Another perk is getting to see common threads, trends in the work an organisation/person, the issues that come up over and over again and how the organisation/person worked. In Muintir na Tíre one of the common threads throughout its 80 years in existence is the use of Community Development Officers/Community Alert Development Officers. The role has been used to spread the word and work of Muintir na Tíre in the community. The Development Officers formed guilds, community councils and community alert group with the local community. They provided advice and guidance to these and ensured they were informed of any decisions from headquarters. 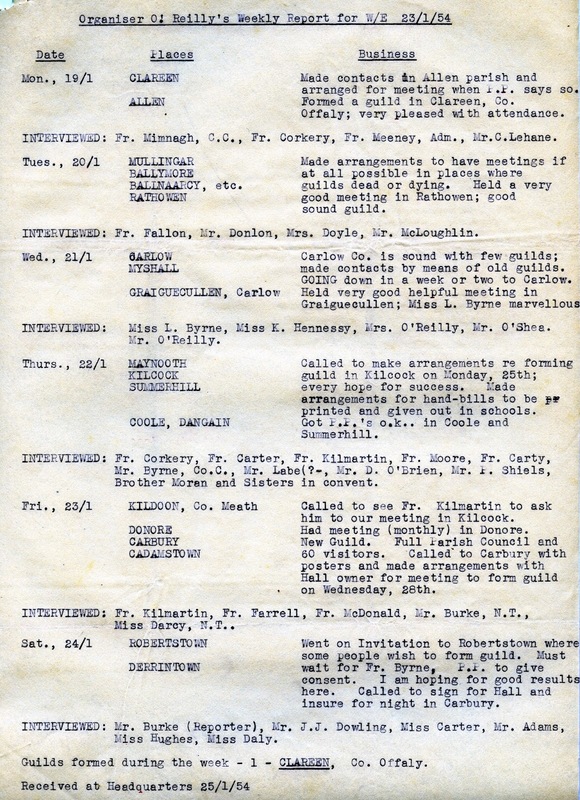 In the archive we can see the role of Organisers in the 1950s is to spread the work and word of Muintir na Tíre in communities and to from guilds. There were approximately six organisers employed by Muintir na Tíre during this time. 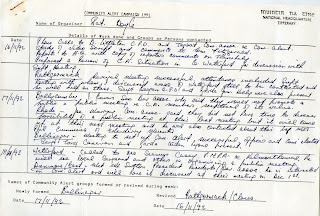 Each week the Organiser had to submit a report to Headquarters with regard to the weeks work and note if a new guild was formed. 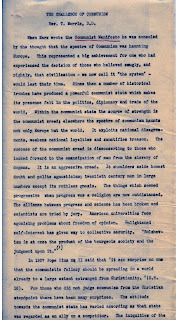 Below is a repot from O. Reilly who covered Tipperary, Kilkenny, Kerry, Kildare and Meath. 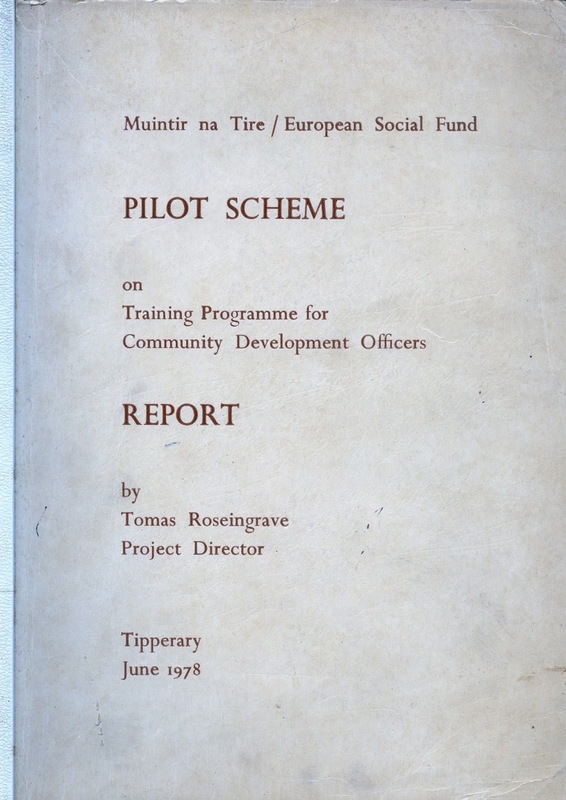 These reports give a great insight into the communities that Muintir na Tíre engaged with and the issues that were facing guilds. 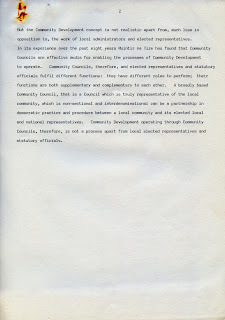 In the 1970s Community Development Officers were employed in the E.E.C. Pilot Project. 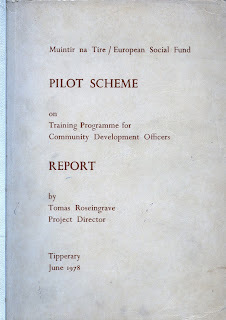 Funding for the pilot project came from the European Social Fund. The project was focused on training community development workers in rural community work which led to employment opportunities through local enterprise. The project also focused on developing community councils, identifying community needs, organising local resources, linking of local resources to those available at higher levels and seeking to accommodate the local projects within the plans and programmes devised at statutory, regional and national levels of administration/organisation [Tierney p.158]. 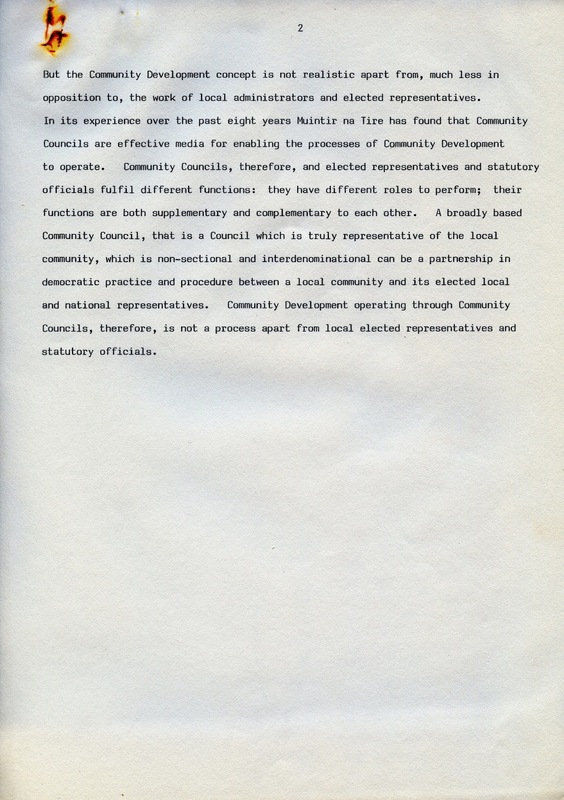 The Community Development officers advised on the creation of community councils and the identification of the needs and objectives of rural-urban societies. They operated in defined locations and worked closely with community council and provided them with training and a professional approach. 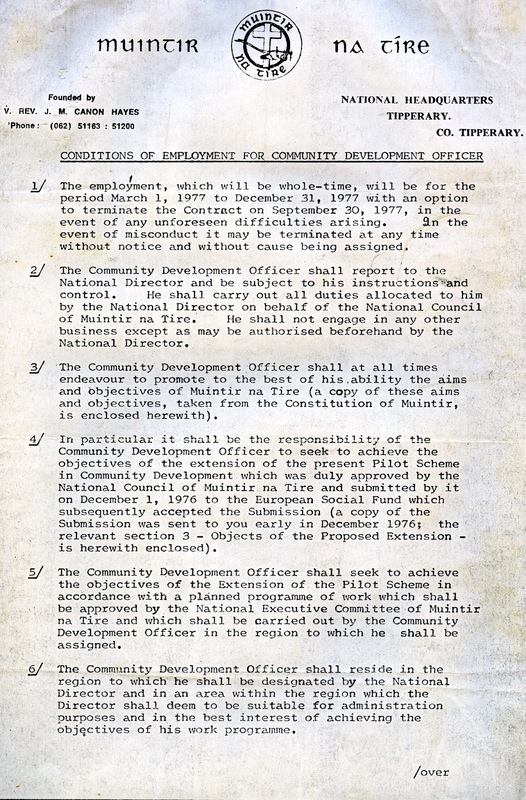 A copy of Conditions of Employment for Community development officers can be seen below. 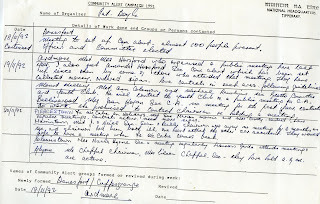 They also provided weekly reports which are also in the archive. In the 1980s there were two types of employee’s in Muintir na Tíre. One of these was the Community Development officer who continued to focus on community development, supporting community councils and creating new councils. 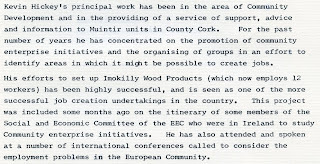 Kevin Hickey was employed by both Headquarters and Cork County Federation and his role and achievements in Cork is described below. 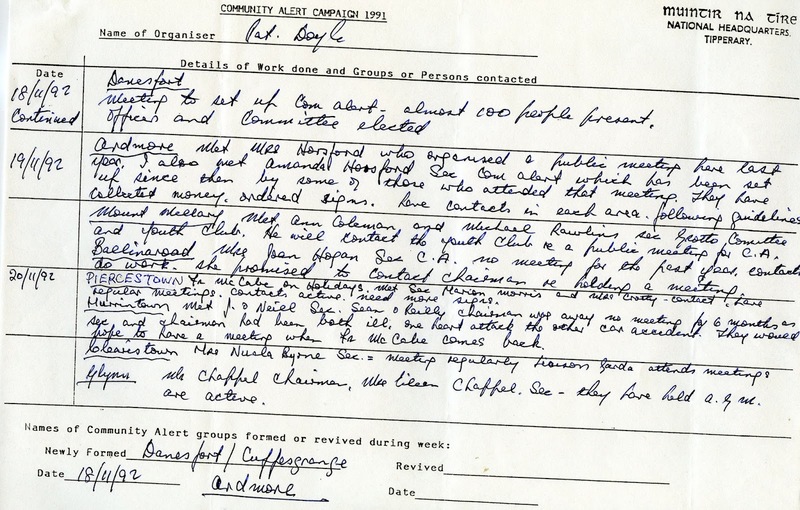 The 1980s also saw the creation of Community Alert in rural Ireland in 1985. To help promote Community Alert, Muintir na Tíre employed and continues to employ Community Alert Development Officers who help establish community alert groups in local communities across Ireland. They work closely with An Garda Síochána. The Community Alert Development Officers also completed weekly work reports. 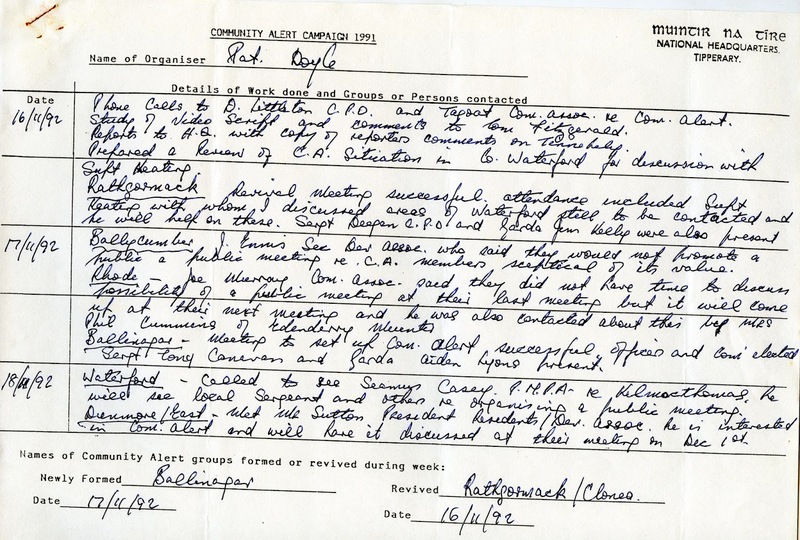 Below is an example of a report from the 1990s from Pat Doyle. These reports provide a great insight into the development of community alert and the issues facing communities in rural Ireland. 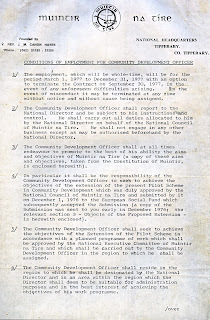 The role of a community development officer to promote the work and word of Muintir na Tíre has been an effective tool for 80 years. 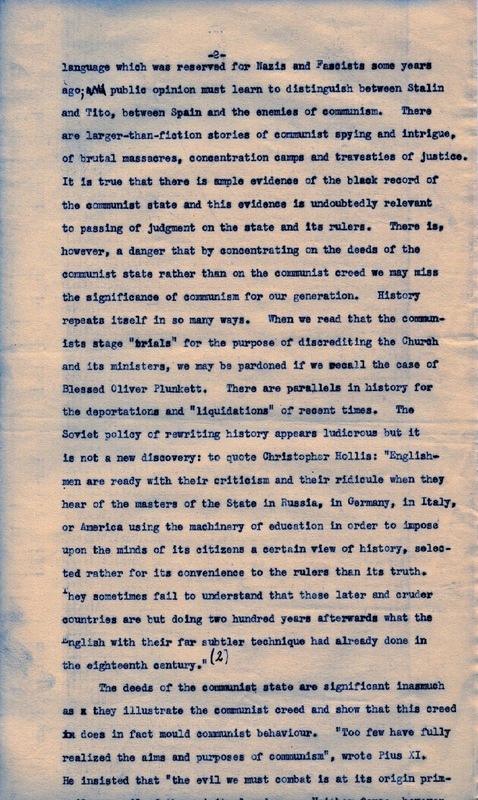 This role is one of many common threads in the archive.